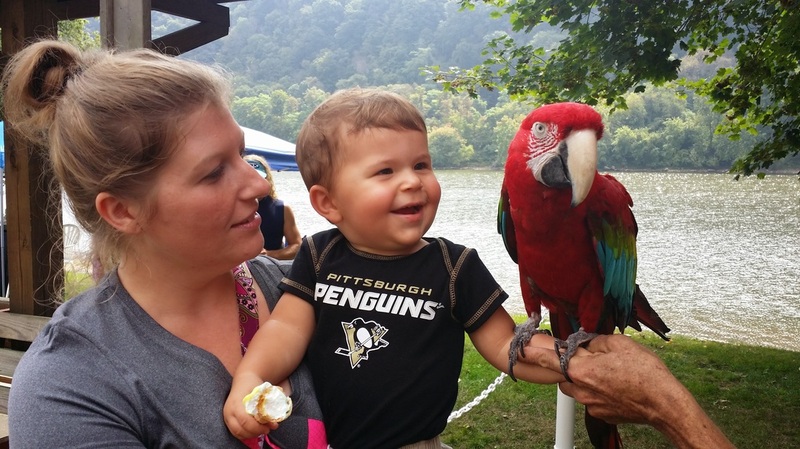 Freeport "September By The River" - That Guy with the Birds! Smiles like this is why we do what we do! Our Thanks to the Freeport Renaissance Association for a wonderful weekend festival. Even though it was a bit overcast and windy, the smiles on everyone's faces made this a very bright weekend after all! We hope that everyone who stopped by had fun with the birds and of course, as always we hope you learned something!